It's a SERVPRO of Dearborn tradition to help the Dearborn Goodfellows ensure all kids have a Christmas. 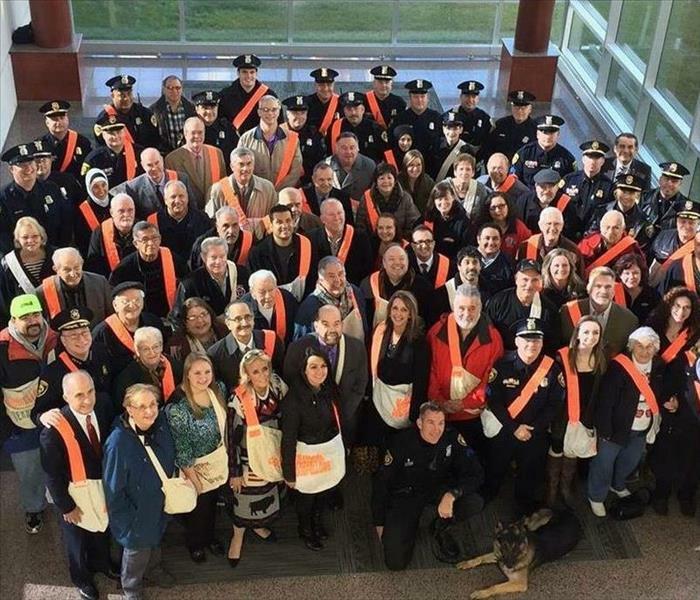 We are teaming up with our fire and police departments to sell commemorative newspaper the first weekend in December. Look at that line! Once again our neighbor Chef Genevieve of Bangkok 96 restaurant had the longest line at Taste of Dearborn 2017. Once again SERVPRO of Dearborn provided the hardest working chef with some shade. We are so proud to support our community. 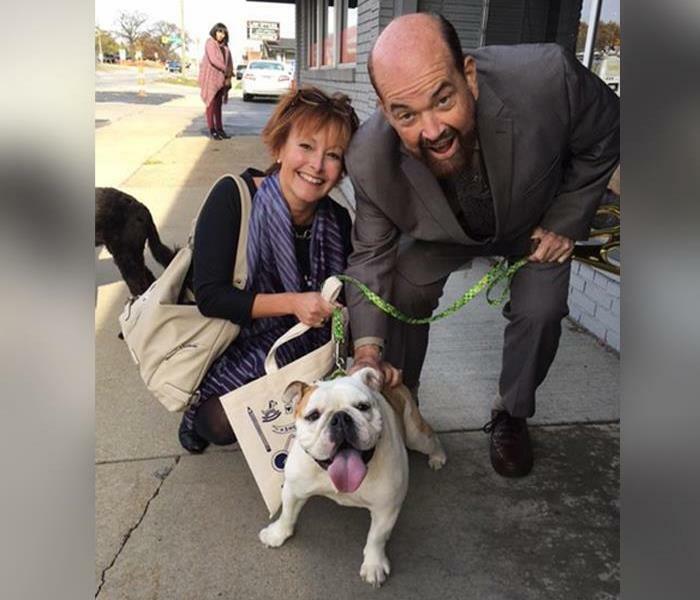 Frankie, the SERVPRO of Dearborn office dog, recently met Dearborn's Mayor Jack O'Reilly and Dearborn Area Chamber of Commerce President Jackie Lovejoy at a chamber event. Mr. Mayor and Madam President have invited Frankie to attend future events. She's the big dog in town now! We pitched in on the Goodfellows' "No Child Without a Christmas" campaign, raising more than $1,500 for the cause. 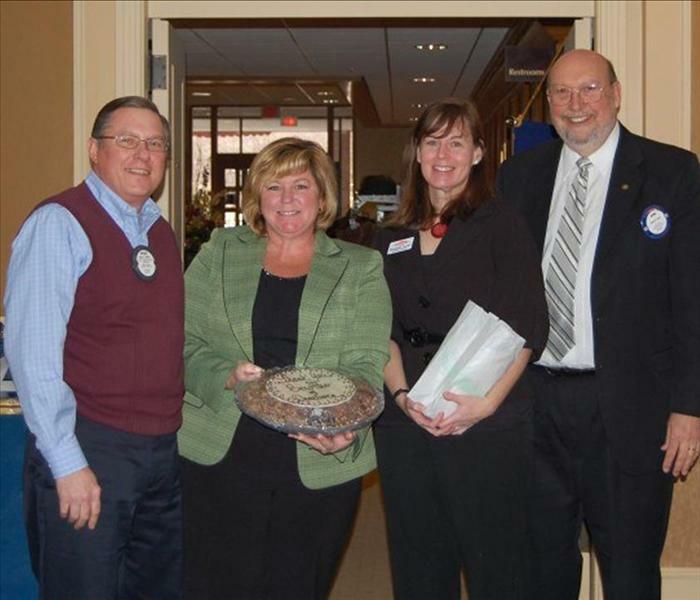 Maureen and Elizabeth accept a thank you from the Dearborn Rotary Club. 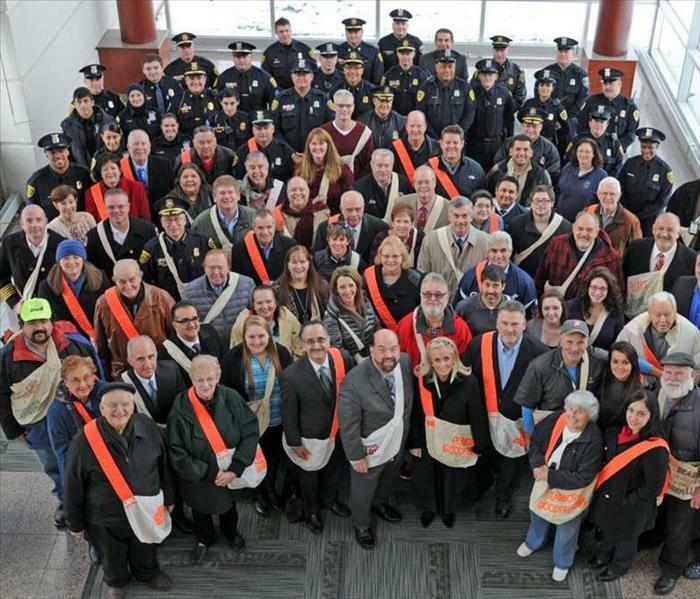 SERVPRO of Dearborn cleaned up vandalism at the Rotary's Santa's Workshop. Great day at the Dearborn Area Chamber of Commerce Golf Outing. 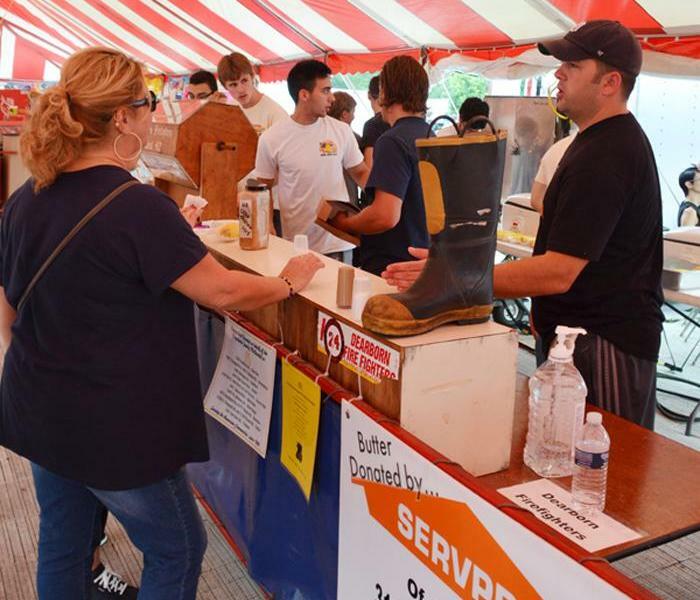 For the 5th consecutive year, we donated 100 pounds of butter to the Dearborn Firefighter's Corn Roast at the Dearborn Homecoming. 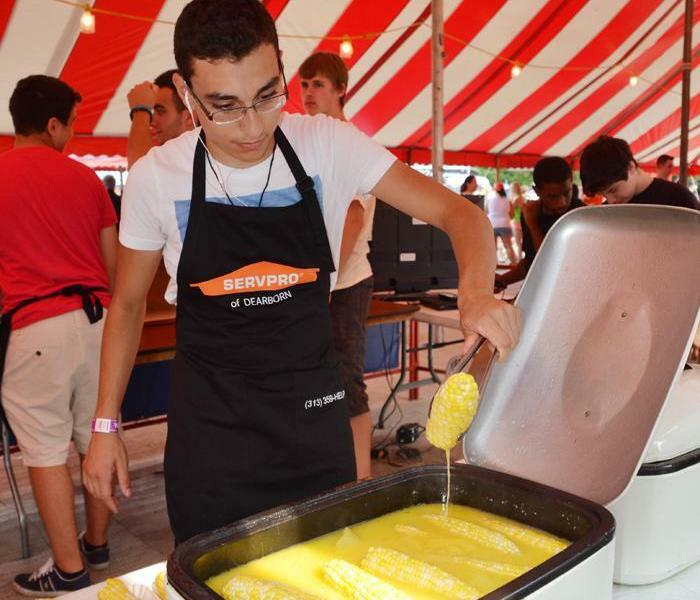 We don't just donate the butter, we help serve up the corn! We were very proud to be sponsors of this great event. 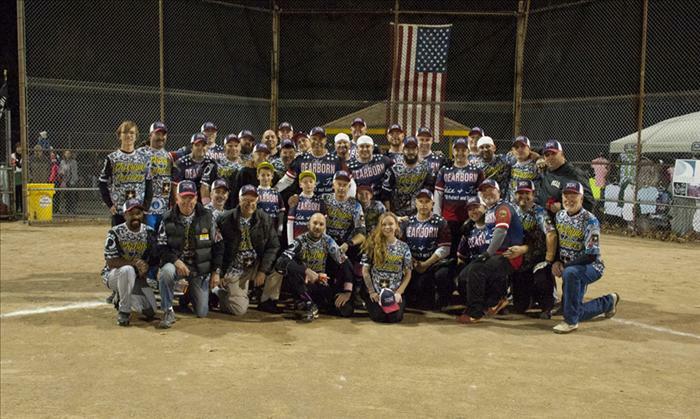 Dearborn police and fire hosted a softball game benefiting The Michigan Wounded and Returning Warrior Program. SERVPRO of Dearborn sponsored the Dearborn Fire Department's softball team. The motto of the Goodfellows, "No child without a Christmas". 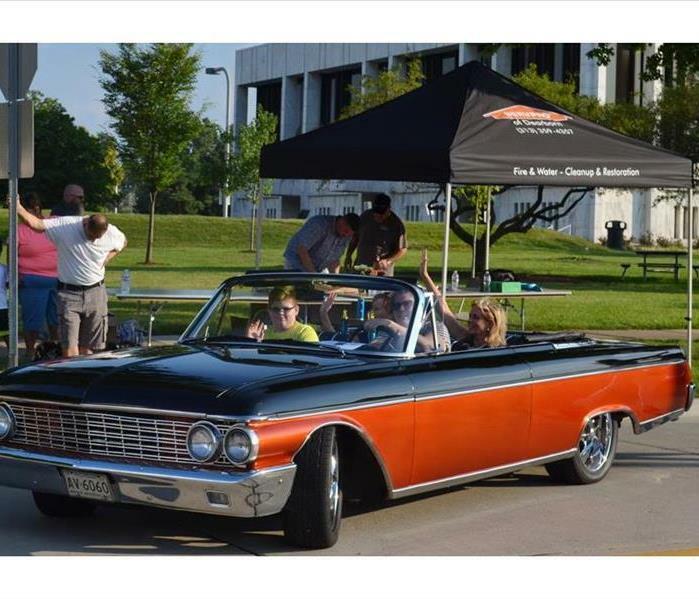 SERVPRO of DEARBORN was honored to help this fine organization bring joy to children in our community.